Regeneration in ACTION: ... and the journey began with a delicious divorce from the landfill! Sponsored by Councilmember Felicia Moore, the City of Atlanta proclaimed November 11, 2014 "Affairs to Remember Caterers Day" in recognition of sustainability efforts, and in particular the milestone of having diverted one million pounds of recoverable materials from Georgia landfills. Councilmember Moore read the Proclamation at a National Restaurant Association (NRA) event, hosted by the Georgia Restaurant Association (GRA) at The Coca-Cola Company headquarters, re-launching the Zero Waste Zones (ZWZ) program in Atlanta. U.S. Environmental Protection Agency (EPA), Region 4 Chief, Materials and Waste Management Jon Johnston began the program with a recount of Atlanta's recycling and ZWZ history. With gratitude, Affairs to Remember Caterers (ATR) General Manager Richard Wilmer accepted the Proclamation and cited mentors and partnerships instrumental to their successful recycling, food donation and collection of food waste for compost practices. Beyond ATR's impressive achievement, the City of Atlanta made a profound statement on the importance of recycling and food waste diversion programs to city policy. Restaurants and caterers seem to have a passionate love affair with landfills: Did you know that 1 in every 8 pounds of material in a landfill is created by food?? Well, the landfill love affair is over at Affairs to Remember Caterers, and the delicious divorce was swift. Spent grease collected for the production of bio-fuel. Common recyclables (cardboard, paper, glass, plastic and metals) collected for recycling. Excess food donated in accordance with the Good Samaritan Food Donation Act. Food residuals, from preparation and service, and excess food not compliant with the Food Donation Act collected for composting or other approved destinations. In addition, ATR Managing Director Patrick Cuccaro served on the GFA Advisory Board and was instrumental to the ZWZ success. In 2012 the NRA purchased the ZWZ with intention to expand the program within the state restaurant association network. ATR retained their ZWZ leadership role through the program transition. In February 2013 ATR Executive Chef Ahmad Nourzad was honored as a Georgia Grown Executive Chef by Georgia Department of Agriculture Commissioner Gary Black at the Annual Taste of Georgia Legislative Reception hosted by the GRA. The Georgia Grown Executive Chef Program offers Georgia-based chefs the platform to share their commitment to sustainability and buying local—tenets of Georgia Grown’s mission—throughout the State of Georgia. 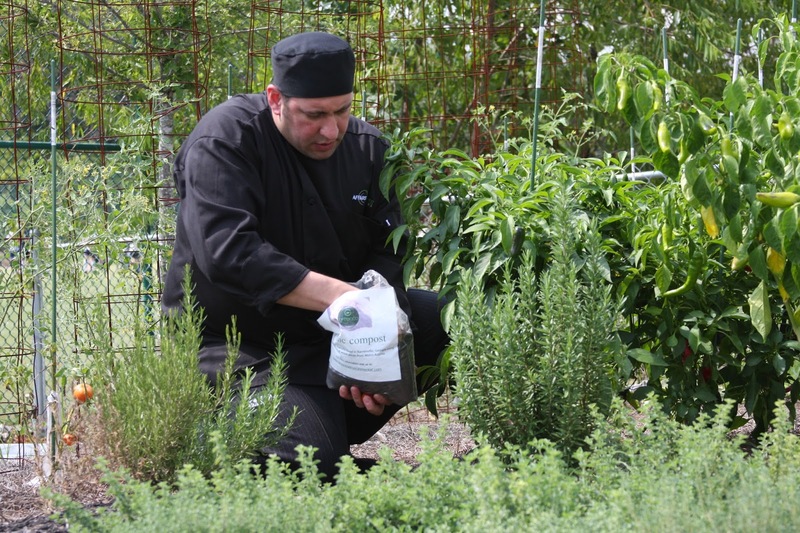 Chef Ahmad crafted the Farm to Party menu offering where the client leads in creating a dynamic, culinary experience made from the freshest seasonal choice organic and/or local ingredients available. Close relationships with local farmers is key to sourcing and success. Always a leader, ATR was the first Atlanta caterer to join the EPA Food Recovery Challenge (FRC). Modeled after the EPA's Food Recovery Hierarchy, the FRC is a voluntary program. Participants pledge to provide a food waste baseline along with annual goals to prevent food waste, donate wasted food and | or recycle food waste in a state-permitted non-landfill destination. The ZWA Blog article, EPA Food Recovery Challenge: Region IV launches FRC in hospitality sector, is an overview of the FRC along with Atlanta's stellar food waste handling history. Indeed, Affairs to Remember is Atlanta's Greenest Caterer! Through Legacy Giving, ATR donates and provides sponsorship of in-kind services to non-profit organizations, assisting in their service and fundraising. Since the program launched in late 2008, ATR donated a generous portion of revenue to Legacy charities. To date, charitable giving and sponsorships exceeds $2,000,000. When they choose ATR, clients fund the ATR Legacy Giving program. What an innovative way to give back to the community! At the core of ATR's sustainability platform is taking care of their employees. Every work day, employees are treated to a delicious, nutritious meal. Wages are well above standard industry rates. ATR is awarded with long-term, dedicated employees, many boasting decades of loyal service. Sustainable operating practices make good, solid business for ATR. Beyond overall cost-savings, ATR attributes over $300,000 in revenue directly to clients choosing a caterer who "walks the green talk" front and back-of-the-house. 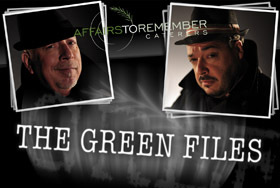 In the November 2014 press release, ATR launched The Green Files with the following copy: ATR invites you to follow the raucous adventures of super-duper Special Agents Patrick Cuccaro and William Neal as they explore all things Green and sustainable chronicled on the company's new blog, The Green Files. But they warn, "Not everything about Green is black and white." "The initial success of Zero Waste Zones was largely creditable to pioneers like Patrick Cuccaro, Managing Director at Affairs to Remember Caterers…and who knew he was a Special Agent?! The right role models, and role models who back up their commitment with action, are key to any initiative. 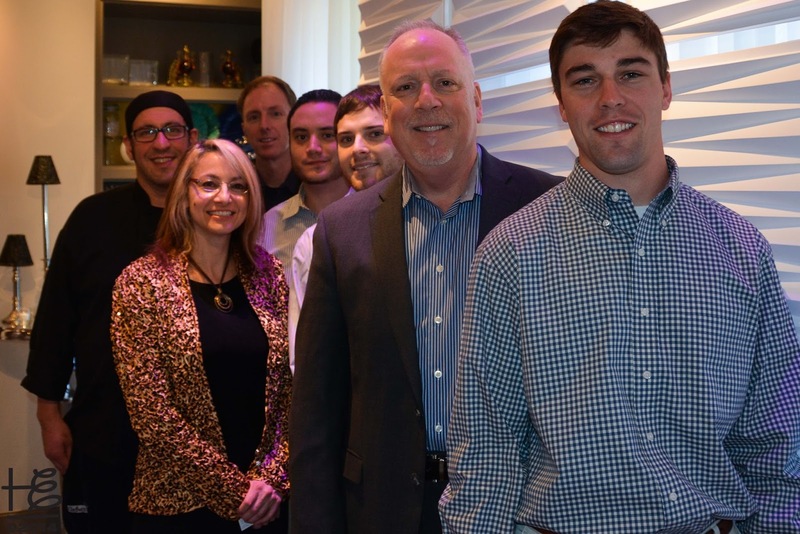 Patrick and the staff at Affairs to Remember have demonstrated a commitment that ensures Atlanta is well represented as a city dedicated to sustainability." Integral to industry leadership is the commitment to share experiences, lessons learned and otherwise assist colleagues as they embark upon the sustainability journey. Patrick and the ATR staff share their sustainable operating practices within the industry via an open door policy. 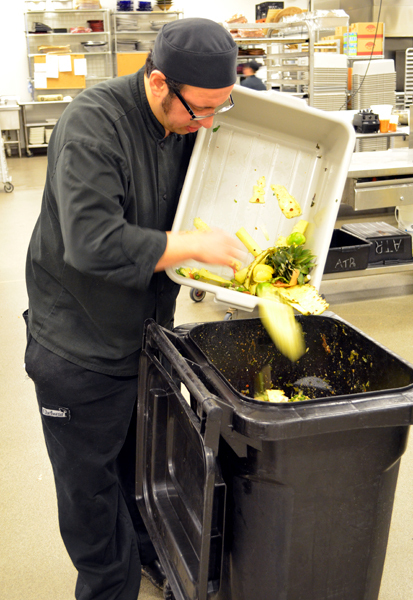 In the early ZWZ days, ATR invited competitors to their back-of-the-house to show how easily food waste collection for compost flows into daily kitchen practices. Sustainability is one of many facets within ATR's commitment to excellence. As one of the largest privately held, full-service luxury catering companies in the United States, ATR is the recipient of a multitude of local and national awards | honors. In 2013 ATR received a highly coveted Achievement in Catering Excellence Awards (ACE Award) for "Best Caterer in the South." A highly prestigious honor—only four caterers in the United States and one international caterer are recognized each year at the annual CaterSource Conference. 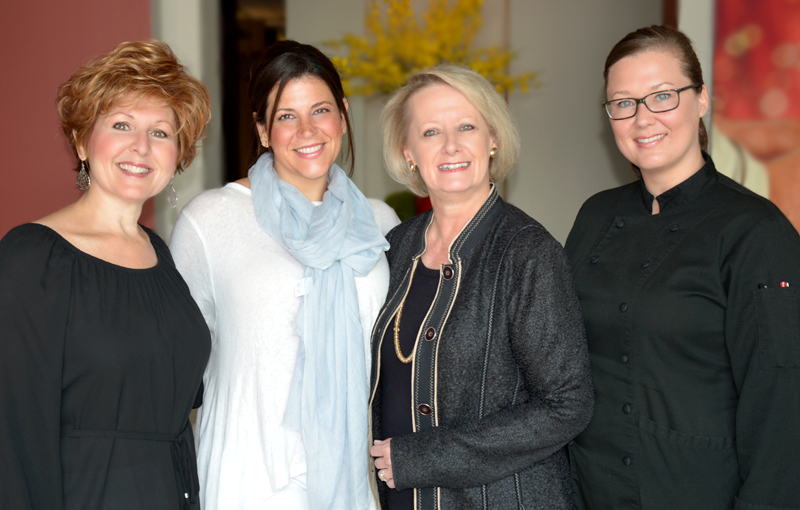 ATR has the unmatched distinction of four Les Dames d’Escoffier International (LDEI) members, including Senior Catering Consultant Nancy Lutz, Senior Catering Consultant Kristy Cook, Executive Sous Chef Ashley Mitchell and Director of First Impressions and LDEI Atlanta Chapter Past President Shelley Pedersen. LDEI is a worldwide society of women dedicated to creating a culture in the community that fosters excellence and promotes the achievement of women in culinary professions through educational and charitable activities. Membership is by invitation only and through a rigorous application process. Serving through leadership roles is another ATR industry contribution. After several years on the Executive Committee, Patrick was elected GRA Chair for the 2012 term. Later in 2012, Patrick was appointed to the Yelp Small Business Advisory Council (YSBAC), an international 19-member team comprised of business owners from the United States, Canada, and Europe. The Council’s task is to provide input on existing Yelp features and policies, products under development, and brainstorm new ideas with regard to interacting with local businesses. The strong Ei | ATR bond spans decades grounded in Holly's fifteen-year tenure as Executive Catering & Events' owner and Patrick's role as the Off-Premises Catering Coalition Founder. While working at the GRA | GFA Holly recruited ATR to join with Patrick chairing the GRA Off-Premises Catering Roundtable. As the ZWZ Founder & Director, Holly worked closely with the ATR Team building the successful program. In 2010 Ei was formed as the new ZWZ home and Patrick was instrumental to a graceful transition. 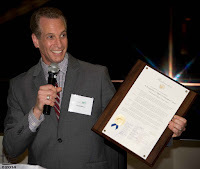 While at the podium accepting the City of Atlanta ATR Day Proclamation, Richard spoke of the long-term Ei | ATR relationship and the supporting role Ei played in their recycling and food waste success. It was a touching affirmation of Ei's important work. For Ei's five-year anniversary, ATR planted a six-foot Shrangri-La Ginkgo tree honoring Ei in the Virginia - Highlands neighborhood. 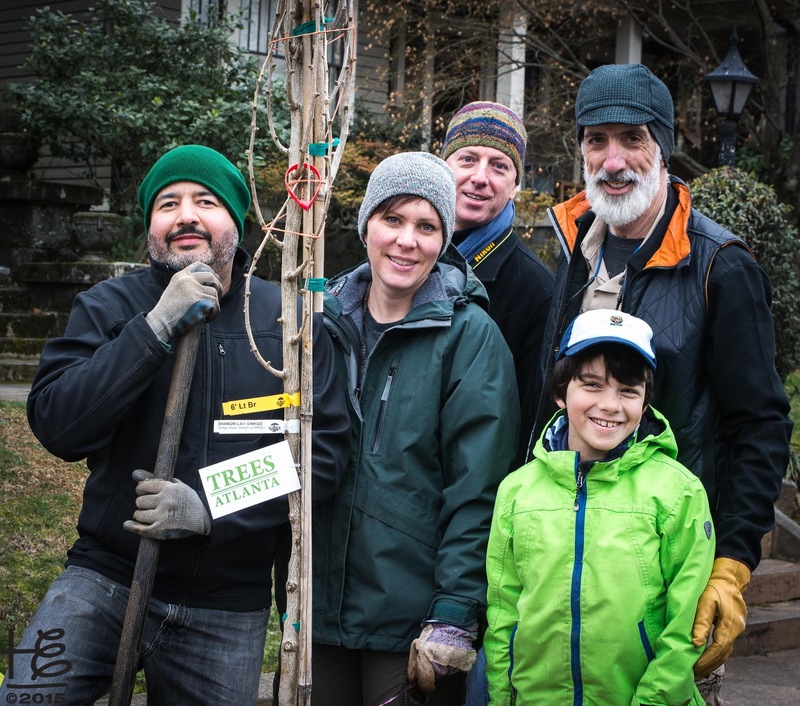 Travis and Holly attended the Trees Atlanta planting on a cold late February Saturday morning. During the tree planting, the combined ZWA & The IMPACT Blogs topped the coveted 250,000 pageviews milestone - a lovely nod from the Heavens for ATR's generous, long-lasting and nurturing gift. The Ei FB album, Affairs to Remember plants tree in Ei's honor, is a pictorial recap of the tree planting. In June Ei orchestrated an introductory lunch meeting for the ATR Team and in-coming City of Atlanta Director of Sustainability Stephanie Benfield. ATR Architect of Events, Innovation & Development William Neal joined Patrick and Travis at the lunch; Moniqua Williams with City of Atlanta Office of Sustainability joined Stephanie. It was an empowering, fun and AMAZING lunch! The journey began with a "delicious divorce from landfills" and propelled ATR into a national sustainability leader recognized for impressive achievements. ... and the BEST part: the journey is gaining momentum as Affairs to Remember Caterers refines recycling practices and embarks on new sustainability adventures! In 2016 it is great to see company's acting ethically and responsibly for our environment and our society as a whole. 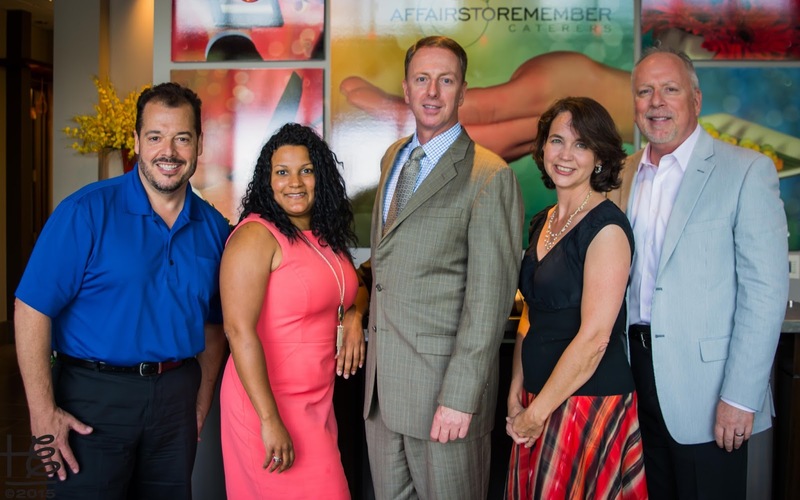 I choose to do business with companies like Affairs to Remember and Derby http://getderby.co because they have a sense of purpose in their culture, to make the world a better place! Yeah, Derby Corporate Catering and Affairs To Remember are leading the way in the catering industry in Atlanta.